Update: This article was last updated on 16th Jan 2019 to reflect the accuracy and up-to-date information on the page. Every year tax season comes around, and so does the tax-scam season. So, in this blog of Ace Cloud Hosting’s blog series aimed at improving your tax season experience, we will discuss how you can stay protected against them. While not all scams look the same, they are all intended to compromise your personal information to steal your money. This is the time when cyber-attacks and scams are in full force. Malware attacks, identity theft and phishing – last year saw a considerable jump in cyber-attacks. According to a 2016 report by Online Trust Alliance, the IRS blocked about $8 billion in deceitful tax returns. This year is already witnessing new fraudulent schemes – and more on the way. So, what measures can you take to make sure that you aren’t a victim of a tax scam this year? Beware of any communication you have that claim to be from IRS and requests payment. IRS will not initiate any contact with taxpayers to request their financial or personal information via social media channels, emails or text messages. If you receive an email, don’t reply, click any link, or download attachments. If you owe money to IRS, they will send an official letter or bill outlining any action you need to take, before calling or emailing you. 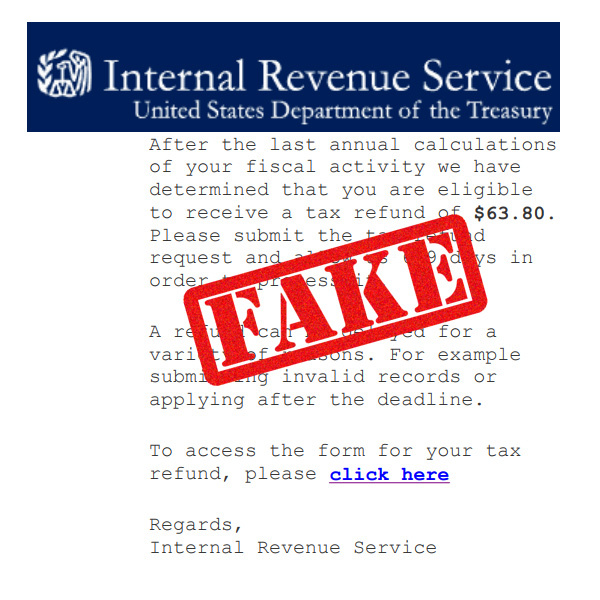 In fact, IRS encourages to send suspicious emails to phishing@irs.gov. 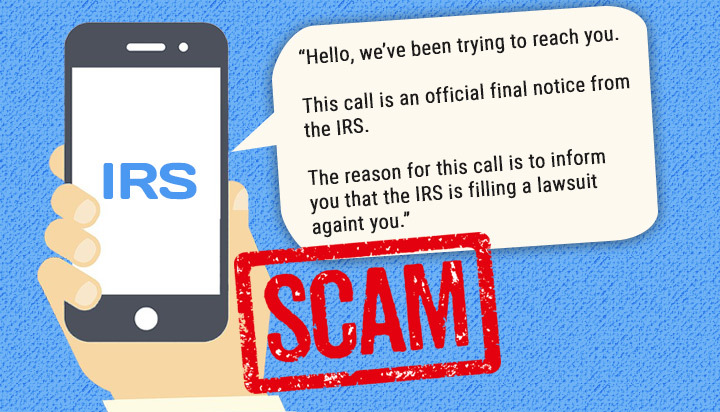 If you get a phone call claiming to be from IRS, note down the individual’s badge number and name, then call IRS at 1- 800-829-1040 to check if they have a legitimate purpose of calling you. Tax season brings frustration among many people. Some are confused by the process, while others are desperate to find ways to reduce the workload. This encourages scammers who are looking to take advantage of such circumstances. Fraudsters will try to lure taxpayers into retorting with unbelievable offers such as guaranteed refunds, free money to complete a survey or large tax refunds, among others. If you think the offer is too good to be true, then it probably is. An email or phone call which highlights quick fix should also raise a red flag among taxpayers. It includes offers like erasing tax penalties or paying the nominal percent of your tax bill. Most US taxpayers don’t even start thinking about filing tax returns until close to the deadline. However, scammers will use your SSN to file a false return, early in the tax filing season. Hence, filing returns early is the best move one can make to avoid tax scam. If your return is filed first, any subsequent filing will be rejected by the IRS. You will not even know that you are a victim of tax fraud until you try to file your return and realize that one has already been filed. So, as soon as you receive 1099s, W-2s and other documents, fill them and submit to the IRS. Free Wi-Fi networks may come at a hefty price – hacking your personal information. Public Wi-Fi hotspots found in cafes, libraries or malls are insecure and anyone using them during tax season or even otherwise should think as if everything they are accessing is being broadcasted in Times Square. Many of these public networks lack security protections, making it easier for hackers to gain access to your personal information. A potential scammer can then install a software which can duplicate or steal your data. Taxpayers should never file their tax returns electronically over a public network and keep their antivirus software up to date. It’s not just fake emails or phone calls you need to be aware of, online scammers too are highly active during tax season. So, ensure that you are following basic security rules. Your home computer, phone or network should have a password on it. Also, now is a good time to activate the latest anti-virus software. Additionally, when you are filing online taxes, select long and complex passwords, along with special characters. Your files should also be encrypted with strong passwords to prevent hackers from accessing the data, in case you are breached. Multi-factor authentication further adds an extra layer of security. Earlier in the blog series, we have discussed tips that help in preparing better for the tax season followed by a blog that listed the documents for easy and faster tax filing. With this blog, we suggested the steps that help you secure your tax filing operations. We hope that you find our recommendations worthy. You can share your opinion with us in the comments section below. Our next blog in this series will cover the reasons why you need cloud accounting for better tax season. To receive notification in your inbox when we publish the blog, please subscribe to our blogs. Renuka Rana, Editor at Ace Cloud Hosting loves to write about technology. Her writings display the challenges and knowledge about the Cloud environment that she collects with her day-to-day experiences. According to me, a complete knowledge of risk behind tax data security is a must. CPAs should guide the team members about the threat of identity theft and other tax scams so that preventive measures can be taken beforehand. As cloud has influenced taxing to a greater extent, data security is definitely on the edge. An unsecured cloud network can allow scammers to penetrate and access their data. Firewalls and anti-virus are a must-have to stay safe. Tax data is immensely needed to be kept safe. With recent tax scams, security measures have also tightened up to protect the data from frauds. What one can do from their side is filing tax early and timely. Thanks for sharing this amazing checklist! Data safety is not something to be taken lightly. Following these tips will surely help you to stay safe this tax season. QuickBooks 2019 vs 2018 vs 2017: What’s The Difference? What Is VDI And How Does It Work? 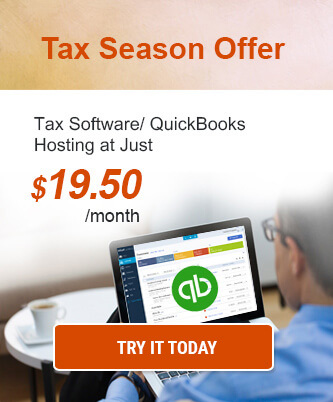 Are Quicken and QuickBooks the Same Thing? Copyright © 2018 Ace Cloud Hosting - All rights reserved. 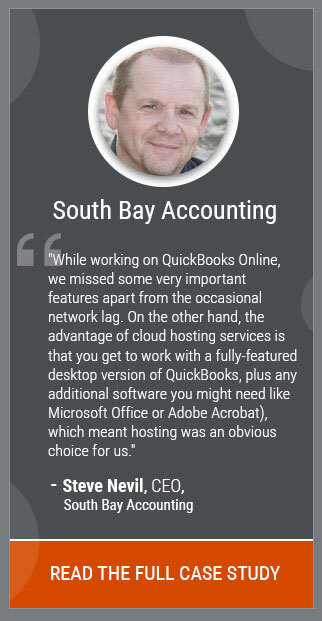 Ace Cloud Hosting hosts only legally licensed QuickBooks and other software. Ace Cloud Hosting is solely responsible for the provision of all services on this website.